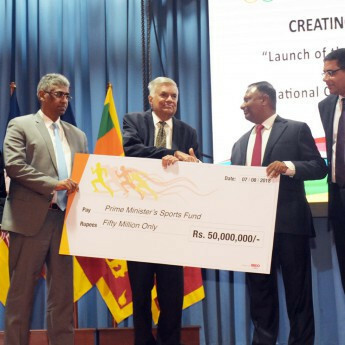 Sri Lankan Prime Minister Ranil Wickremesinghe has announced the Government plan to open 500 sports centres in schools to help produce more international medallists. 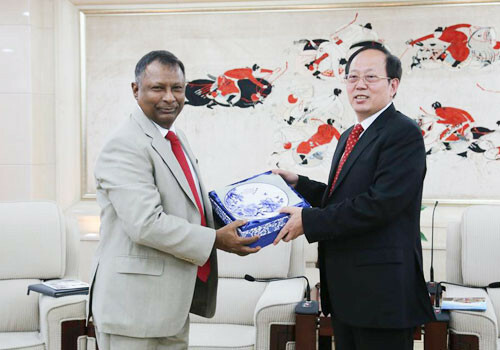 The National Olympic Committee of Sri Lanka will receive Chinese support as they prepare for next year's South Asian Games in Nepal. Rohan Fernando, the President of the Amateur Rowing Association of Sri Lanka, has been defeated by Suresh Subramariam in the Sri Lankan National Olympic Committee Presidential elections. 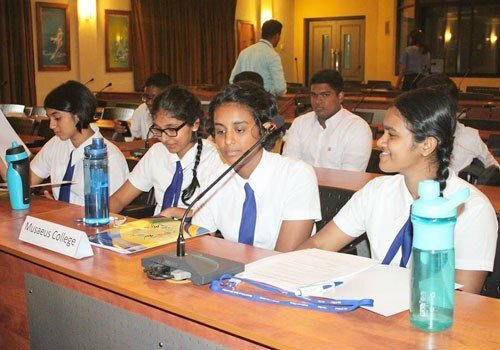 For the first time in the history of the Sri Lankan Olympic Committee, the governing body organised an inter-school debate programme on Olympic educational values. 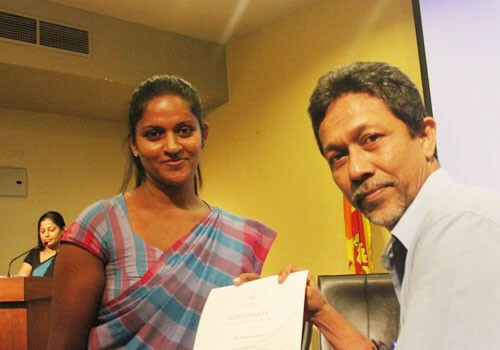 The National Olympic Committee of Sri Lanka (NOCSL) has successfully held its second sports administrators course. The National Olympic Committee of Sri Lanka (NOCSL) is set to launch a pilot project to promote the Olympic values across the country. A 28-strong team has been picked by the National Olympic Committee of Sri Lanka (NOCSL) for the 2017 Commonwealth Youth Games in Nassau in The Bahamas. A Memorandum of Understanding (MoU) has been signed between between the National Olympic Committee of Sri Lanka (NOCSL) and the Seoul Youth Center for Cultural Exchange (MIZY Center) in order to distribute shoes for athletes. 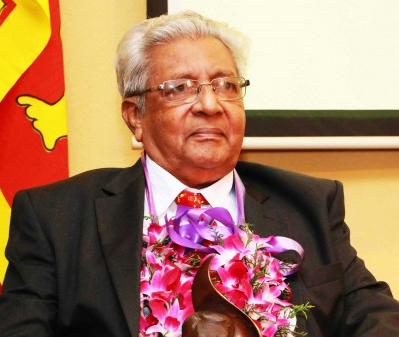 Former National Olympic Committee of Sri Lanka President Roy de Silva has died at the age of 80, the governing body has confirmed. 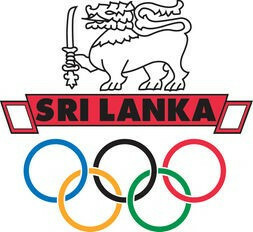 Olympic Council of Asia (OCA) sports director Haider Farman has reportedly ordered the National Olympic Committee of Sri Lanka to speed-up their process for holding elections in order for them to avoid violating sporting autonomy laws. 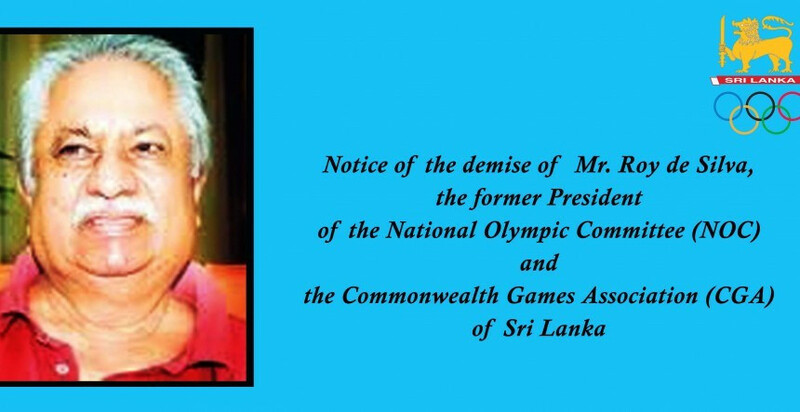 "Deepest sympathies" have been paid by the National Olympic Committee of Sri Lanka following the death of longstanding administrative secretary Michael Karunathilake. The National Olympic Committee of Sri Lanka has signed a Memorandum of Understanding (MoU) with the Russian Olympic Committee (ROC), which they hope will help them with sports development and scientific research. Representatives from the Government of Sri Lanka have met with a delegation from the Olympic Movement here in the latest of a series of discussions aimed at ensuring the independence of National Olympic Committees around the world. 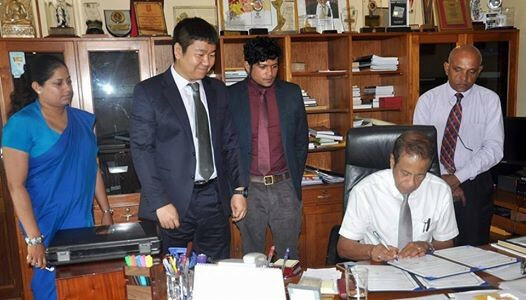 A bilateral cooperation agreement has been signed between the Chinese Taipei Olympic Committee (CTOC) and National Olympic Committee of Sri Lanka, opening up a "new chapter of sports exchange and cooperation".